Manifest Insanity is an irreverent social commentary that traces the history of Judeo-Christian doctrines and how they have evolved over the centuries, impudently contradicting the perception that these established beliefs were original to their traditions, and specifically challenging the evangelical Christian concept of literal inerrancy. The historical information is presented in an informal, but polemical, conversation between teachers and students in a Christian high school as they move from class to class throughout the day. The narrative exposes some of the historical misunderstandings and outright doctrinal forgeries that the Religious Right trumpets in their attempts to force their morality on mainstream society. Woven into the story is a satirical reimagining of Dr. Strangelove, as modern-day liberal secularism—replacing the Soviet paranoia of the Cold War era—fuels the right-wing hype of a godless society on the road to hell. The Four Horsemen of New Atheism—Dawkins, Dennett, Harris and Hitchens—have demonstrated in this new era of confrontational tactics that no longer will secularists smile politely and remain respectfully silent of religious beliefs, but will stand up and challenge the irrationality of blind faith. Following their lead, Manifest Insanity is a scathing indictment of the Christian Right and their attempts to highjack school boards in order to indoctrinate children using the public school system. 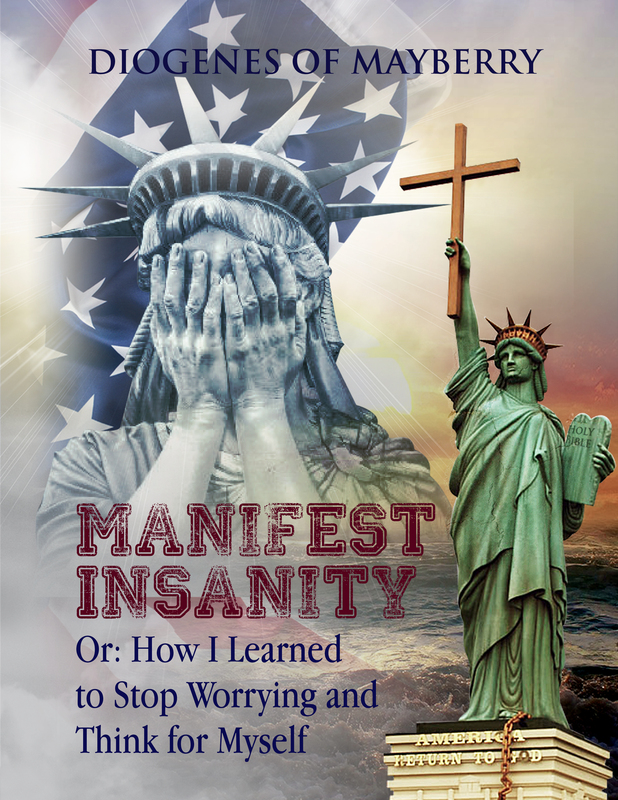 Manifest Insanity is a thoroughly researched, insightful, thought-provoking and comprehensive analysis of the religious history that shaped the political and social views of American evangelical Christians—yet, an entertaining, humorous and accessible read.